Francine with her sister and parents in Warsaw, Poland, ca. 1930. 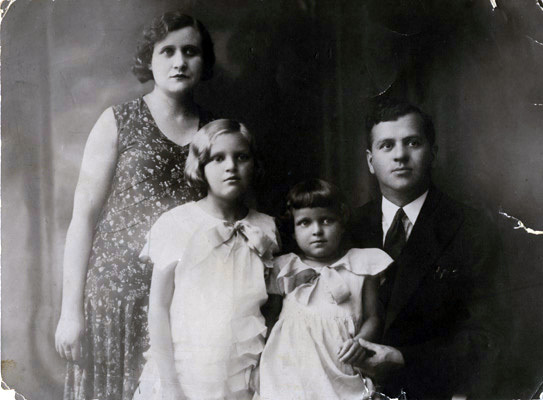 Left to right: Grina (Germaine) Ajzensztark (née Königsberg), Rachela (Suzanne), Frajda (Francine), and Mortre (Maurice).